Boothroyds is working towards the recovery of family jewellery after a high-profile home invasion in Bothwell, Scotland. The burglary took place on a Sunday afternoon while the family were on holiday. On their return the family discovered high value jewellery and watches had been stolen. But more importantly, items of sentimental value had also been taken. Boothroyds initiated a two prong approach. Firstly they hired an advertising trailer to raise awareness of the break-in and the accompanying reward for information leading to the recovery of the stolen items. The trailer was placed strategically throughout the local and wider community. The Boothroyd detectives, who are ex-police detectives, also found witnesses that the current police investigation had overlooked as well uncovering further evidence from the crime scene for submission for forensic examination. 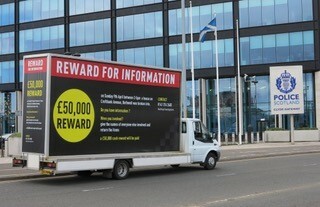 Boothroyd Associates are helping with ongoing enquiries into the disappearance three years ago of a young man from the Kirkcaldy area of Scotland. Allan Bryant was reported missing three years ago when he didn’t return home from a night out. Boothroyd detectives are working with his family to try and bring some closure to this sensitive case. The detectives have spent time with the family, listening to their concerns and following up in areas where the family believe the police investigation was weak. Boothroyds have uncovered new evidence which has been passed to local police who are continuing to action the case as an open missing person enquiry. A client contacted us because her wedding jewellery had been stolen. The jewellery was valued at in excess of £10,000 but the sentimental value to our client was far greater because the jewellery had been passed down through the family generations. Our client had a suspicion regarding how her jewellery had been stolen but was unable to take any action, hence she called us. Working on the basis of her suspicion and employing a combination of hidden cameras and in-person surveillance we were able to recover the stolen jewels. Call now on 0141 548 8055 for a free and confidential telephone consultation. Our investigators worked with a lady who was being terrorised by a stalker. In this instance we provided the client with a personal tracker equipped with a panic button. The personal tracker is GPS enabled meaning we can physically locate our client at all times. When pressed, the panic button sends an alarm to the investigator on duty at the time. The investigator makes immediate contact with the client and depending on a number of pre-agreed responses, takes appropriate action to ensure her safety. If you are worried about stalking or receiving inappropriate attention, we can offer this service to you too. 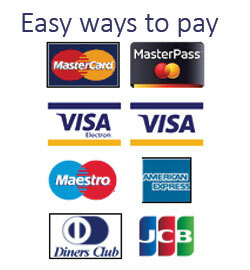 To find our more call us on 0141 548 8055. As private investigators we’re asked to conduct matrimonial investigations on an almost daily basis. We understand you’re facing a painful and distressing situation. Our experienced team handle all requests with sensitivity and discretion. The client below made the very difficult decision to contact us after reading a suspicious text on her husband’s phone. In her own words and reprinted with permission, our client provided the following testimonial. “After the painful discovery of a text on my Husband’s phone and realising the possibility that my Husband was conducting a secret affair, I considered engaging the services of an Investigation Company. The daunting prospect of this was overwhelming, as the outcome may not be what I wanted to hear. Coupled with the anxiety of who do you contact and how, and if you do, it also exposes your cherished private life to a stranger. However I could not ignore what I had discovered and made the decision to engage a company to assist me in discovering the truth. The truth was not good, however the professional, sensitive and expedient manner in which Boothroyds conducted their enquiries, the informative presentation of their results both verbally and in writing made the whole process as painless as it could be. My complicated circumstances required the use of their services over a lengthy period of time. Boothroyds during this process were engaged by my solicitors for legal reasons, during the course of this lengthy procedure they were never at any time detected, which is a testament once again to their knowledge of their field. Probably the longest undetected surveillance operation conducted on behalf of an individual. Do you suspect your spouse of cheating? You can call us now on 0141 548 8055. We provide an investigation service across the UK with cases recently completed in Essex, Edinburgh, Aberdeen and Newcastle upon Tyne. As private investigators we’re often contacted by clients searching for birth parents or brothers and sisters they have lost contact with. Investigation of missing relatives can take us across the UK and in this case our client, based in Glasgow, was reunited with her birth mother living in the south of England. In this instance we were contacted by a lady who on previous occasions had tried unsuccessfully to locate her birth mother. In her own words and reprinted with permission the client says “I had been searching for my birth mother for years to no avail when I contacted Boothroyds. From the first phone call they handled the case with the upmost professionalism and discretion. Within a week of trawling through family records, they had located my mother and I was able to contact her by telephone. Within a week I had gained a mother, one full brother and three half sisters thanks to Robert and Bob. Are you searching for your birth mother or father? Call us now on 0141 548 8055. We’ll need you to provide a minimum number of details and while results cannot be guaranteed, we do have a high success rate when it comes to locating birth parents and siblings. We are experienced professional investigators and we have been around for over 30 years. When you call you’ll find a friendly and sympathetic ear. We are members of various professional investigator bodies and these are your guarantees that we always work within a strict ethical code and adhere to the laws of the land.